Ellis Ludwig-Leone's Brooklyn-based pop project San Fermin will return with their sophomore LP in the new year, and to celebrate the announcement, they've shared new track "Parasites." 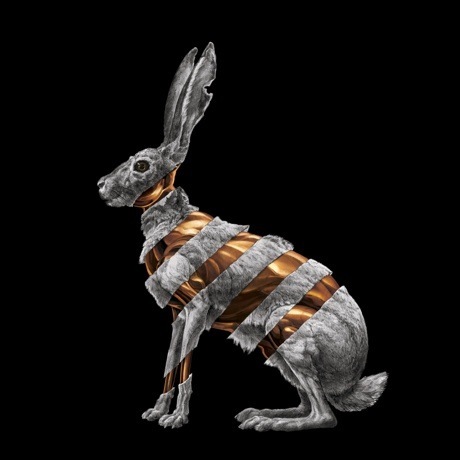 The new record is titled Jackrabbit, and it will arrive on April 21 via Downtown Records. It marks the follow-up to 2013's self-titled effort, which was written in the secluded wilderness of Banff, AB. San Fermin has since grown into an well-oiled, eight-piece machine, and as a result, Ludwig-Leone reworked a handful of existing song parts and changed up his approach to songwriting to reflect the newly assembled ensemble. The supporting cast of John Brandon (trumpet), Stephen Chen (saxophone), Rebekah Durham (violin/vocals), Michael Hanf (drums), Charlene Kaye (lead vocals), Tyler McDiarmid (guitar) and Allen Tate (lead vocals) are all given moments to shine on the new record. As a press release puts it, "The two discrete characters born by the debut album have been replaced by multiple personalities, treading new and difficult terrain." The record promises to offer up "moments beautiful, brutal and a bit of both," delivering songs "that don't know how to let you out of their clutches or console you with easy answers." You can hear a sampling of the new material with the band's brand new single "Parasites" — an electro-pop gem that incorporates the wide-reaching influences that have inspired Ludwig-Leone over the last two years. Buzzing, fiddle-fuelled runs meld with choral harmonies, brass breakdowns and interesting percussion patterns to create a genre-defying number.